The Public Forum is the WTO’s largest annual outreach event in Geneva, which provides a platform for participants to discuss the latest developments in world trade and to propose ways of enhancing the multilateral trading system. This year’s theme is about expanding trade through innovation and the digital economy. 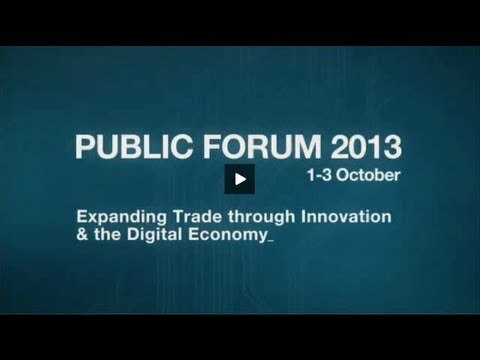 ITC’s contribution to the Public Forum consists of a panel discussion and a booth showcasing how innovation can enhance countries’ trade capacities. On Day 1, ITC will co-host a panel about the potential of electronic commerce to create jobs, spur innovation and grow the economy in Africa, the Caribbean and the Pacific. On Days 2 and 3, ITC Executive Director Arancha González and other ITC staff will contribute to different sessions. On all three days of the event, visitors can join ITC staff in the Innovation Corner to learn how smallholders can integrate into export-driven supply chains through the use of information and communications technology. For further information on ITC’s involvement with the Public Forum, please contact communications [at] intracen.org or press [at] intracen.org. For additional information, please visit the World Trade Organization webpage.